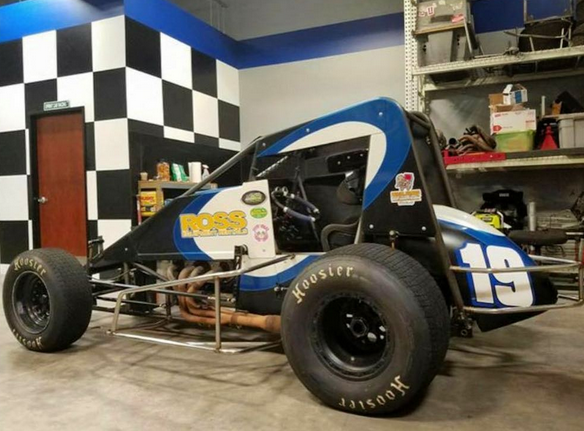 After all, Thomas Meseraull will indeed be heading west when the USAC AMSOIL National and CRA Sprint Cars stop at Arizona Speedway and Perris (Calif.) Auto Speedway during the month of November for the 2017 season finales. The San Jose, California native has been named as the driver of the Reinbold/Underwood Motorsports No. 19 for the Nov. 3-4 "Western World Championships" at Arizona and the Nov. 9-10-11 Budweiser "Oval Nationals" presented by All Coast Construction at Perris. Meseraull hasn't had any prior experience for the Reinbold/Underwood team, but this fact hasn't deterred his success of late as evidenced by what he's accomplished this season. Meseraull has earned six series wins since 2015, including a pair this season for two different teams. In June, Meseraull was victorious in his second start for the Heffner Racing team during the Eastern Storm trip to Pennsylvania's Lincoln Speedway. One month later in his USAC debut for Chase Briscoe Racing, Meseraull captured the victory in the Indiana Sprint Week opener at Kokomo Speedway. In fact, Meseraull has driven five different teams to top-five finishes with USAC this season alone! The No. 19 was originally entered for Brady Short who had to bow out due to other commitments. Meseraull will, however, have February Ocala, Fla. winner Hunter Schuerenberg as a teammate in a second Reinbold/Underwood car. The west coast based team has competed on the national trail this season, including leading eight laps and recording back-to-back top-five finishes with Schuerenberg in "Sprint Car Smackdown" at Kokomo in August. Meseraull has not yet won at Arizona or Perris in USAC National Sprint Car competition. However, he did score a USAC Western States Midget victory at Perris in 2001. Meseraull's best "Western World" finish to date was a third in last year's opening night. Meanwhile, his top "Oval Nationals" result is a sixth, which he procured in 2012 and 2015.